If National Margarita Day wasn't enough for you yesterday, today is National Chili Day! 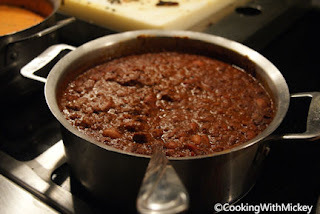 Chili is the perfect comfort food in the winter whether it be traditional, with beans, without, chicken or vegetarian. It's a potluck and game day favorite for many. If you are lucky enough to be at the Disney Parks today there are several options to satisfy your chili craving. Options range from buffets like Trail's End to chili dogs at Casey's Corner to chili cheese fries at Cosmic Ray's... your choices are endless. So how do you like your chili? Do you have a Disney favorite?